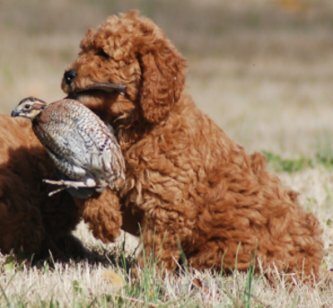 Our legacy will live on in our breeding program as we have a nice hunting line that we have developed over the years. 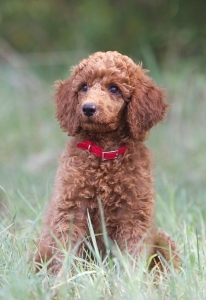 If you are searching for a sound, intelligent, non-allergenic family companion, check out our poodle puppies. Pictured above is our very own "Whiskey Girl"retrieving a green winged teal as a young pup. 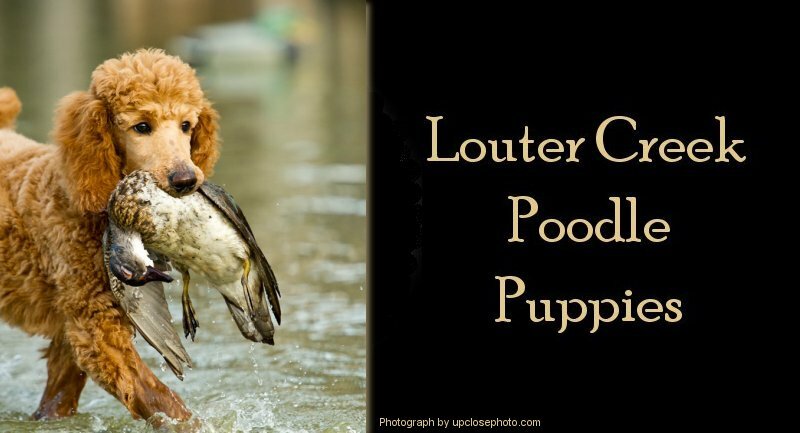 She was featured in the GunDog Magazine Dec. 2011 in a similar picture. Here are a few of the puppies we have bred. You can see the quality and beauty in each one. Our puppies are handled every day for socialization until leaving our home. Grooming begins at 4 weeks with their first bath, blow dry, and nail trim. 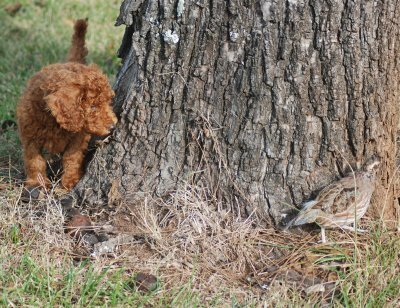 Retrieving toys begins at 6 weeks and live bird are introduced at 7 weeks. In the summer we take the puppies to the pond and slowly introduce them to the water. It's important that they are introduced to different locations of water such as ponds, swamps, and ditches. We take a couple dogs with us so the puppies sees how much fun it is and soon they are playing at the waters edge and enjoying it! 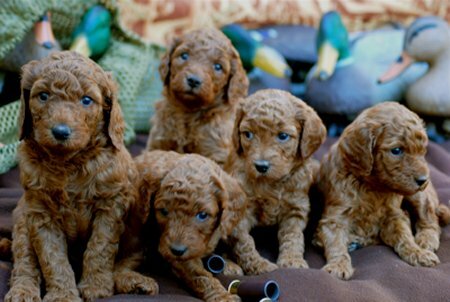 All puppies come with AKC Limited Registration and 2 year health guarantee. You will receive a three generation pedigree, health records, including first set of shots, dewormed, dew claws removed and tail docked long. 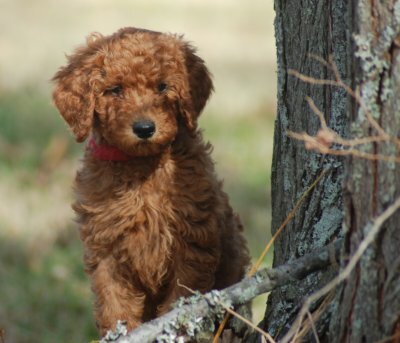 Your puppy will arrive well-socialized, groomed, crate familiar and well on their way to being house trained. Please contact us for more information. 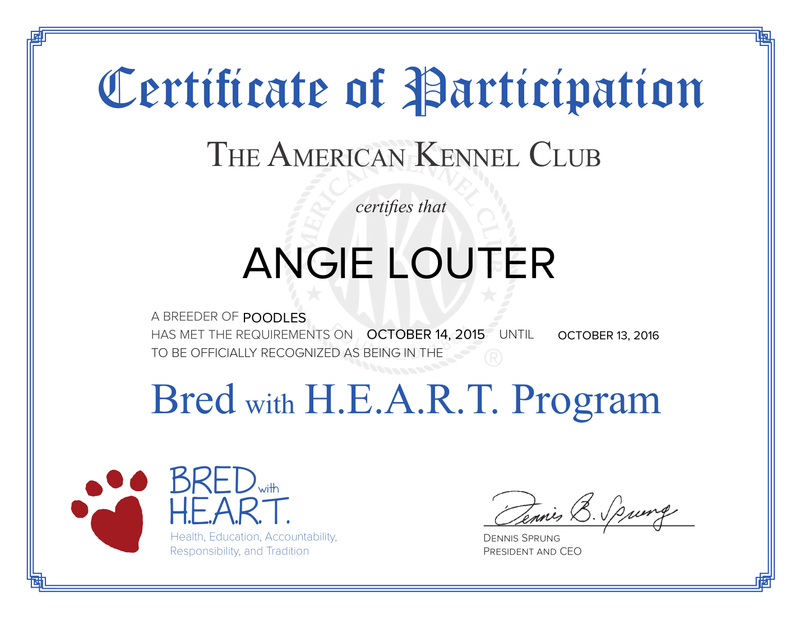 and with any other Official Kennel Club.